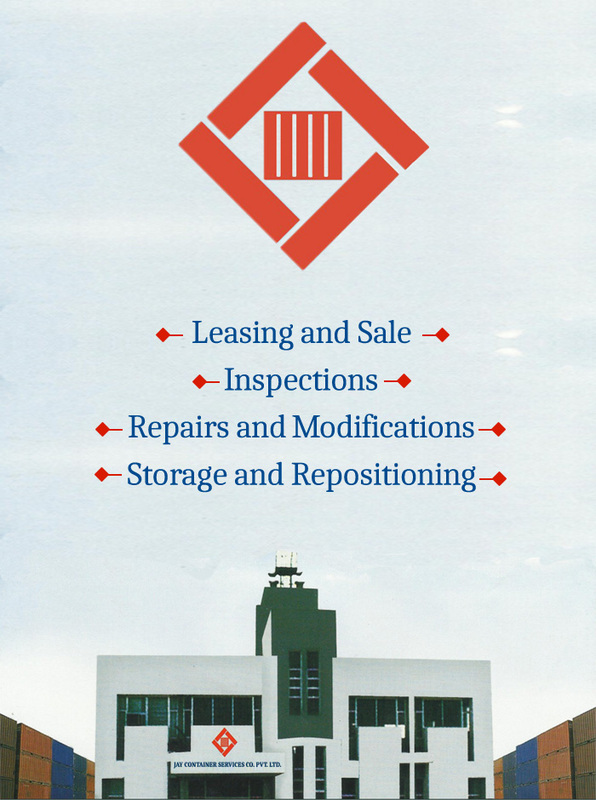 About Us – Jay Container Services Co. Pvt. Ltd.
Jay Container Services Co. Pvt. Ltd. (JCS) is a pioneer in the maritime transport and container shipping industries in India and was set up in 1991 with a vision to provide state of the art services to shipping lines and leasing companies for all their requirements in the fields of handling, storage, warehousing, repairing and rental/leasing for different kinds of containers. What began as a modest endeavor has snowballed into the fulfillment of a bold dream that we had dared to envision: The creation of a string of world class container depots. A comprehensive container services depot was then setup in 1993, at Navi Mumbai, Maharashtra to cater to the needs of clients operating through the Jawaharlal Nehru Port Trust, Nhava Sheva and the Bombay Port Trust, Mumbai. In 1996, this expansion was followed by the inception of another depot which was started at Greater NOIDA, NCR region to cater to the needs of clients situated in the northern and northwestern parts of India. We work closely with our customers to develop flexible and competitive terms for both their short and long-term requirements. A considerable operational synergy has been achieved from the network of our Indian depots backed by the tremendous goodwill and assistance from our principal associates. All of the following has eventually helped us in the rendering the quality service to customers. Our customers are always assured of excellent quality containers at super-fast delivery, excellent value for money, and prompt, reliable and friendly services. We immensely value our associates and customers and consider it an honor to be a part of the intermodal services scenario Jay Container Services continues to provide services to clients as per the standards of the IICL, C/W or Line Specific Standards.